I have been jumping out of my skin with excitement the past few days as the past Sunday Mr M & I sat down and officially started booking our Europe Accommodation. I was squealing like a 5 year old on Christmas morning as we hit 'book' on hotel and hostel again and again. We aptly finished the day off sharing a bottle of champagne in celebration and toatsing our upcoming adventure. We are by no means finished yet, but to me, the 'hard' work - who am I kidding I've loved every second of it - is done, we have done weeks of research and picked our destinations and accommodation we just have to finalise each booking - which we have started doing. Having locked all places in, and shared on this blog from the start my Europe planning, I wanted to update you on the final itinerary. I'd LOVE to hear from you if you've been to these places, lived in these places or just dreamed of these places. I want to hear your own experiences or tips on what Mr M & I should be doing once there. p.s we fly out 1st August 2012 and home 5th December 2012. Will be an amazing trip ! I live in Belgium and lived in France and Germany before, but my favorite from your list is Italy. Just drive around lots and lots in Tuscany, so beautiful. Croatia is great for relaxing by the coast aswell. If you like art, you should visit the Magritte museum in Brussel ( the area around it is nice aswell). Mallorca is nice, but more as a party/beach location. Definately visit the castle in Heidelberg. In Porto you should definately cross that famous bridge and enjoy the view on the city from the other side (gaia- where you can also go the port wine places) The next update about your trip I'll try to give you some more advice. I'm Napolitan girl!And I live here,if you want ask me all about Campania!restaurant ,places etc!! I am BEYOND jealous!!!! Seriously. I studied abroad in Florence, Italy and traveled.. and then spent 6 weeks backpacking Europe, sooo i do have my opinions and LOTS of suggestions! Italy- eat.as.much.as.you.can. 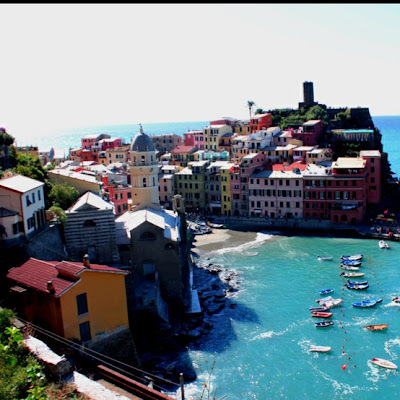 The food is amazing... Cinque Terre was one of my favorite spots in all of Europe. That would be a must on my list. The hike form town to town is breathtaking. Prague- It gets SO cold.. so go there early. It's an inexpensive city, so you can get a lot of bang for your buck! 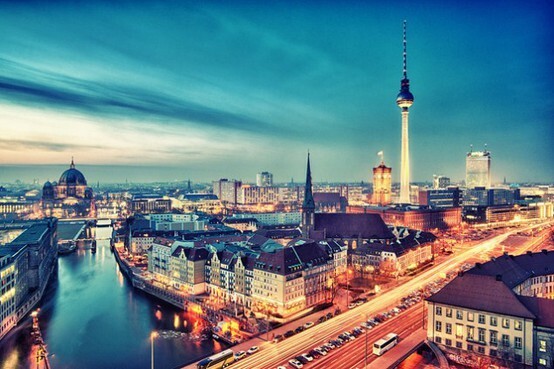 Germany- I love Berlin, but Munich was my favorite. It was the most authenticate German experience- from the food to the beer houses! Ireland - if you can, try to travel the countryside... Gallway was by far my favorite. So green and so pretty (bring your drinking pants!). Switzerland - there is this little town called Interlachen.. it's truly amazing. It's where the paramount picture mountain is.. and they have so many winter sports/activities there. They have glaciers if you ski, and AMAZING fondue restaurants. I would definitely recommend there. Sorry this is so long, i get so excited about Europe! I wish I could travel around the world. But I am just 13 years old.I have so much time to travel and visit many countries. I would love to. You have a nice blog, darling, congratulations to you. I have a blog too and it is about fashion trends, vintage fashion, classic movies and interesting music and books. I think you'd like it. Anna, I'm your blog's newest follower. I really liked your blog and your style too. I loved the dress you're wearing in your profile picture. Kisses! I'm so jealous right now, haha. I hope you'll have an amazing trip! I am so proud of you I remember when you did a post and you were just picking places out on a map and now it's reality. You truly give me inspiration to follow my dreams. ohmygoshhhh, you are going to have the best time EVER. I'm super jealous. Take me with you? I'm small enough to fit inside a suitcase. It has been proven. OH i'm so excited for you. I've always wanted to travel through Europe!! Wow, are you visiting all these cities! That is going to be one amazing life-changing adventure. I would love to plan a trip like this. SO JEALOUS! have a fab time! Have you booked accommodation yet? Gosh, what an incredible itinerary. I do so hope you find the time to post your pictures on your way around so we can live vicariously! In the sth of spain, so a day trip to Granada so you can see the Alhambra , it's amazing. Also in the sth is montserrat which is a monastery built into the side of a cliff. we did a hike from there and it's amazing! it seems like your trip is gonna be amazing! i've been to rome, venice and florence, and i must tell you, i looooved it! there's a lot to do in rome and a lot to visit in florence. and even though venice is just adorable - my fav place out of the three - there isnt much to do, other than relax and enjoy the city, which is pretty awesome if you ask me! You are lucky...Gr8 blog :)....Wanna follow each other with GFC, Twitter and Facebook ? Wow what an amazing trip! I'm sure you'll find all the lovely things to do everywhere, but for Amsterdam - it get's really touristy in the centre so try and follow the canals into other parts. The part in between the Dam and the Anne Frank house is lovely! 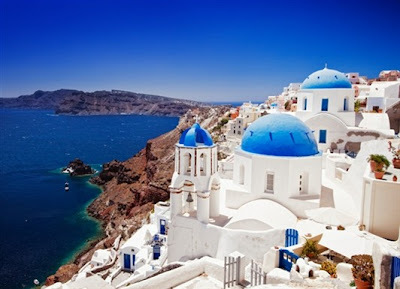 I want to go in Grece! WOW! You are going on a major trip - I am beyond jealous! gosh i'm so jealous! i miss europe. I'll start saying that u are so lucky! is this a gift for something special? on the other hand Costa Azzurra (France) and Spain have nice weather the whole year so maybe u can visit them at the end of ur trip! definetely do not miss Paris, Prague, Vienna and Berlin!! you should also visit Lisboa!! hope u have great time! stop by my blog if u get a second!